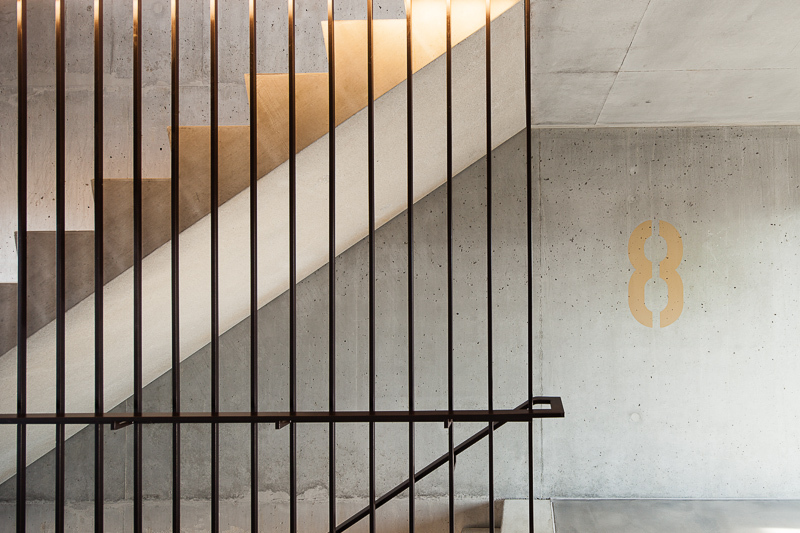 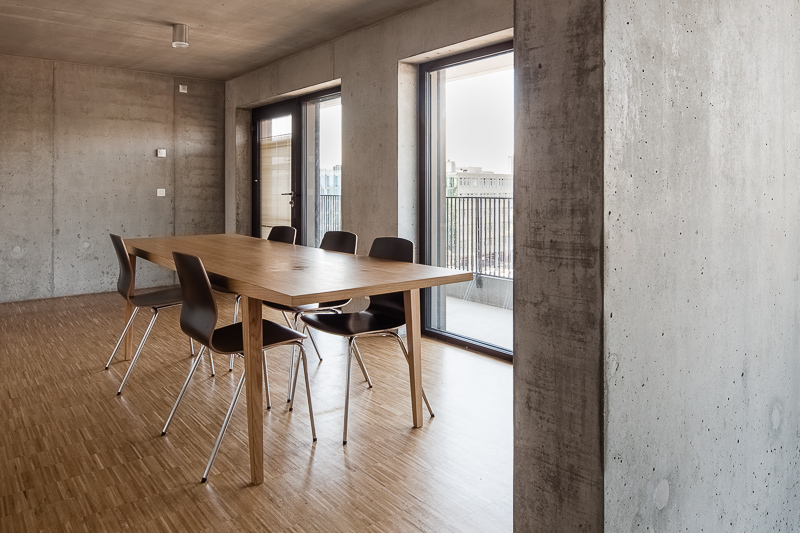 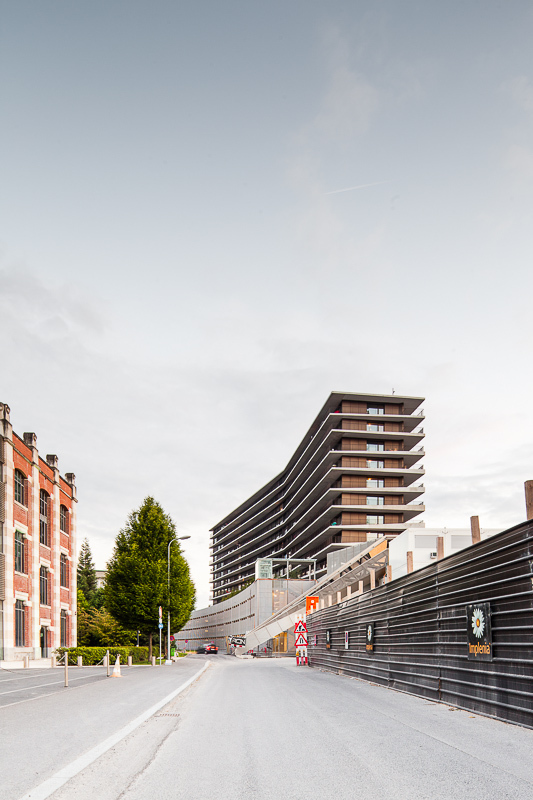 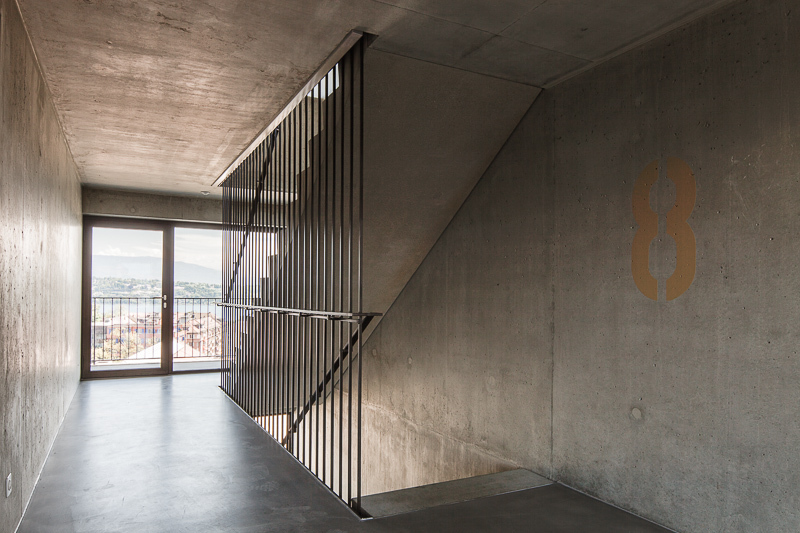 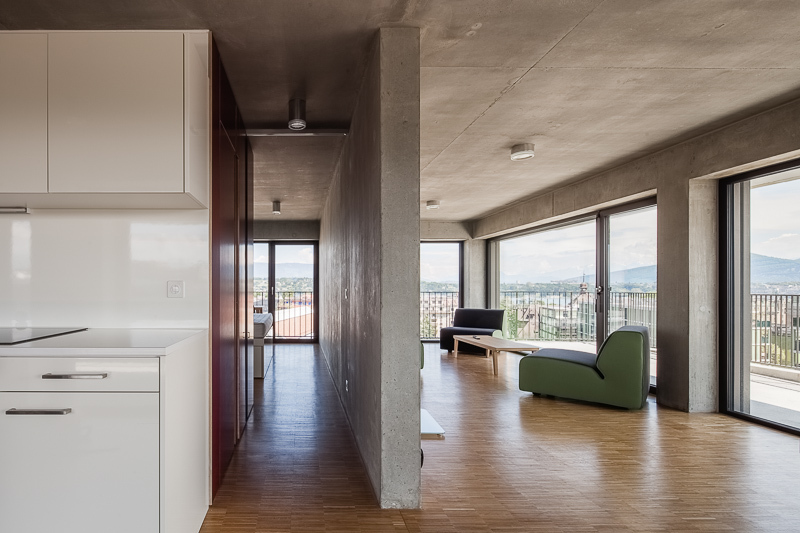 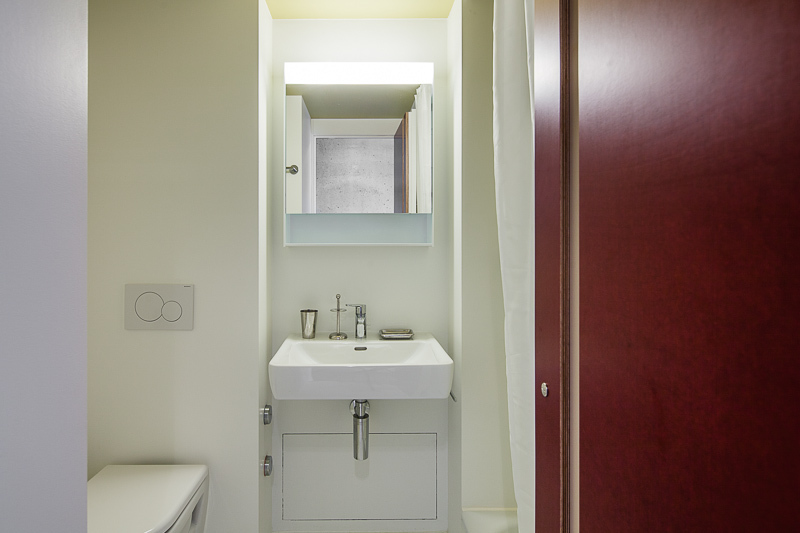 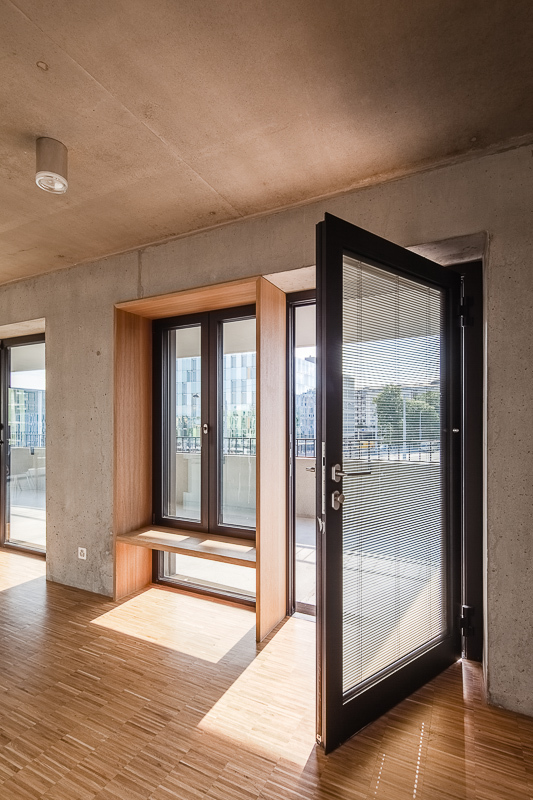 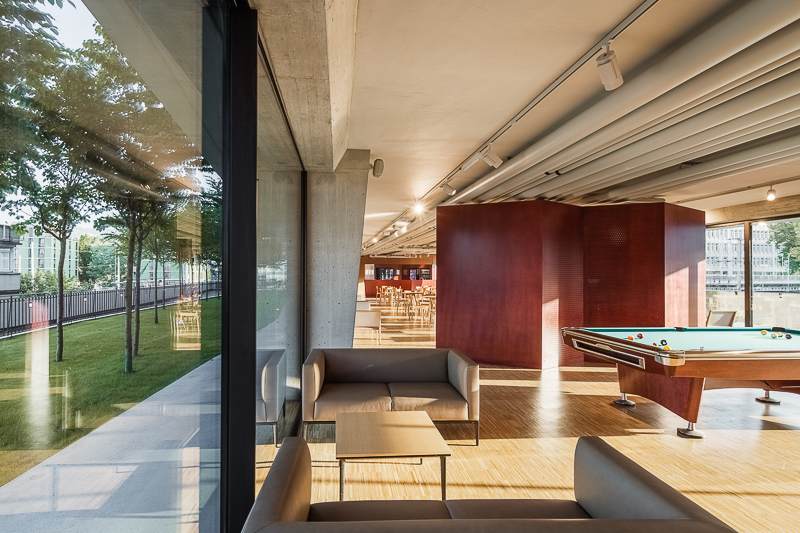 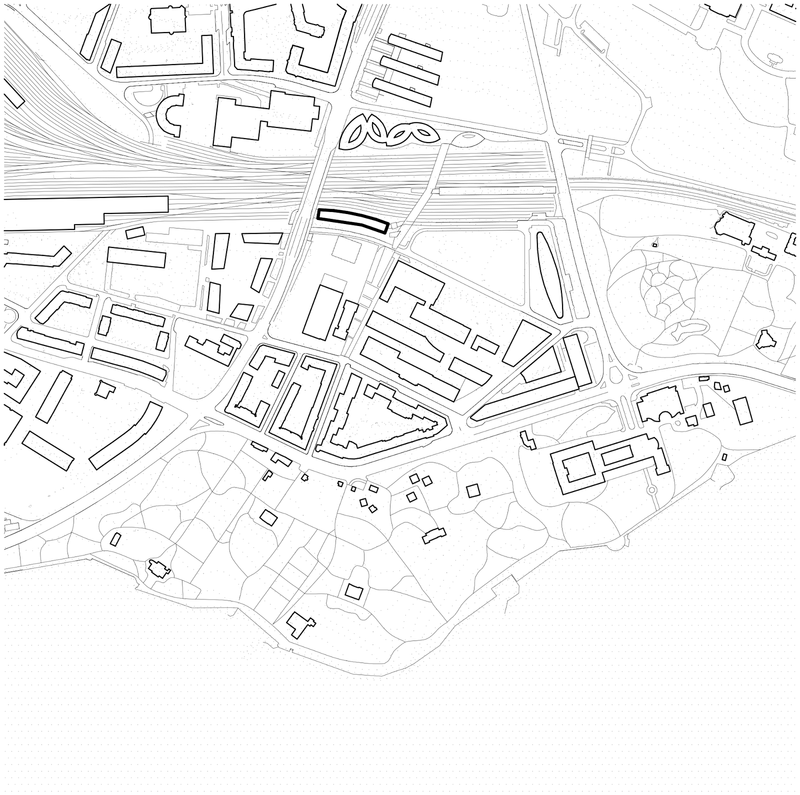 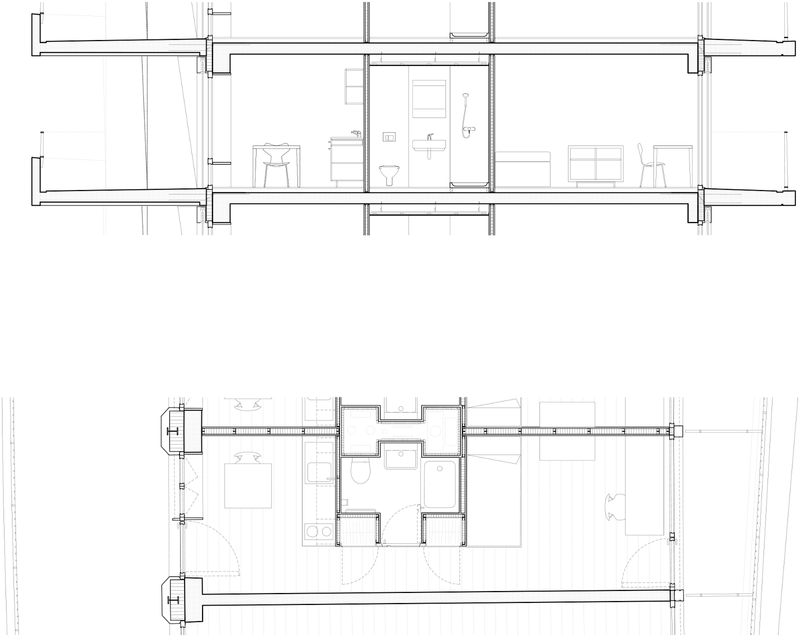 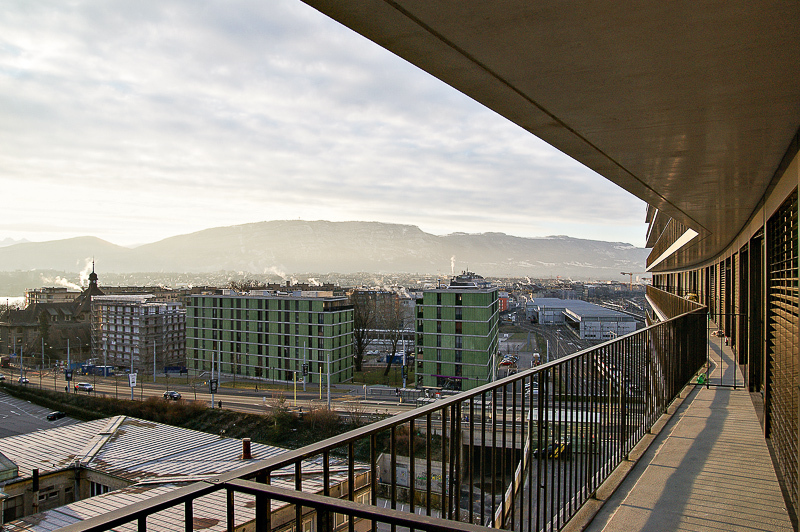 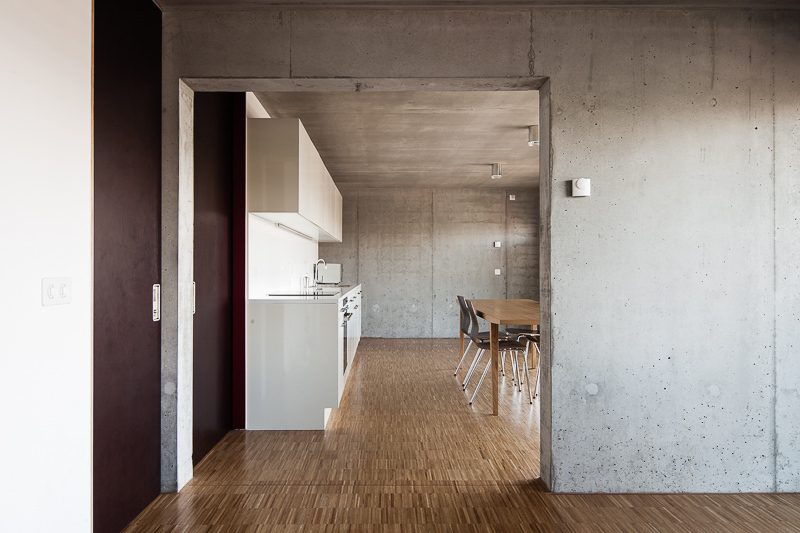 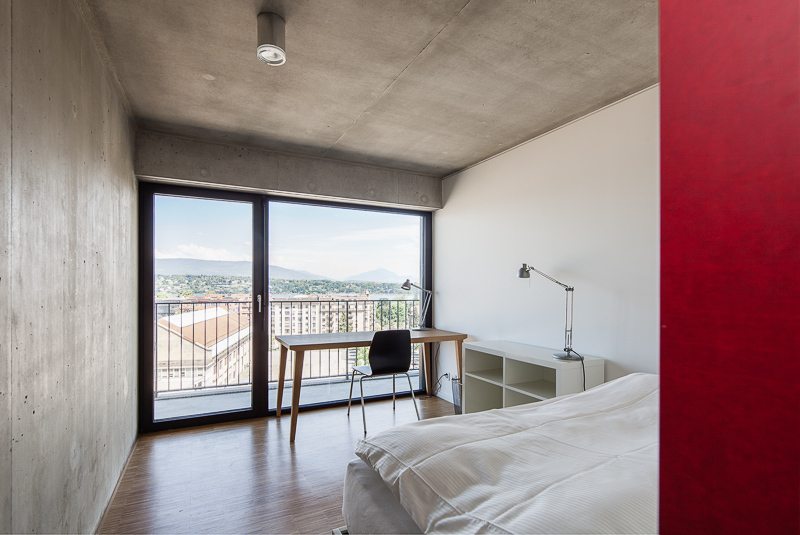 Situated at the entrance of Geneva, the Students housing of the Graduate Institute are open to the world. 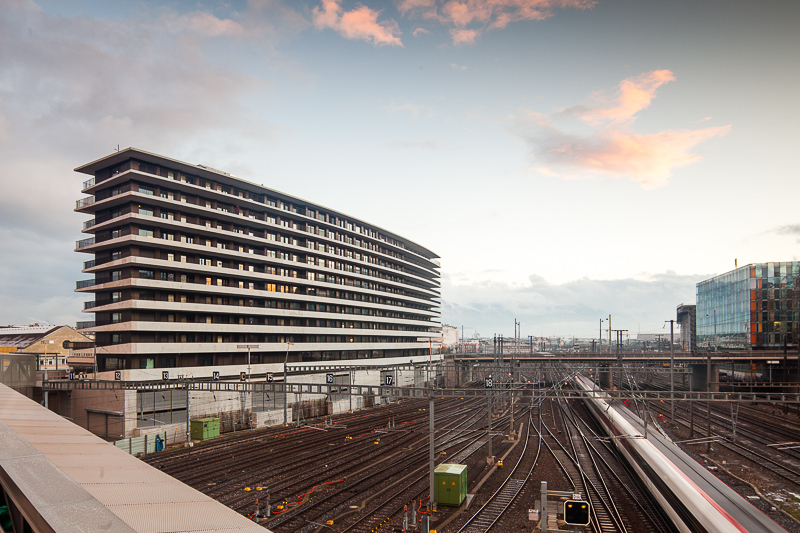 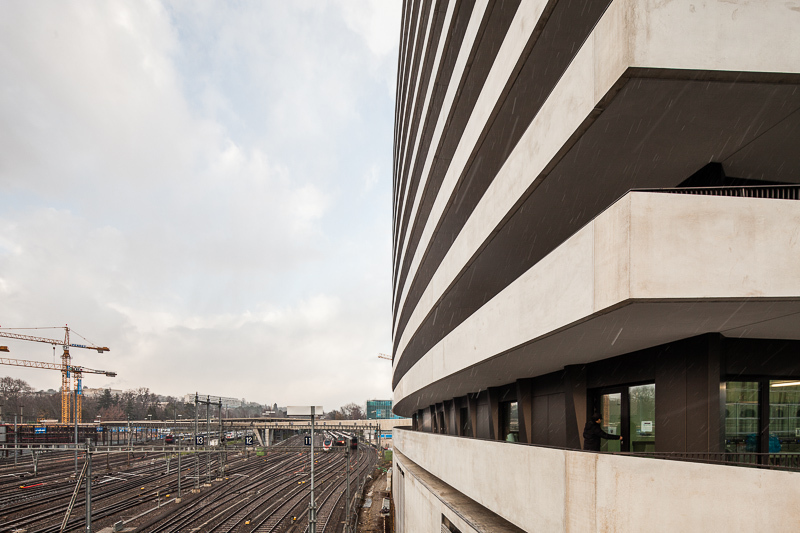 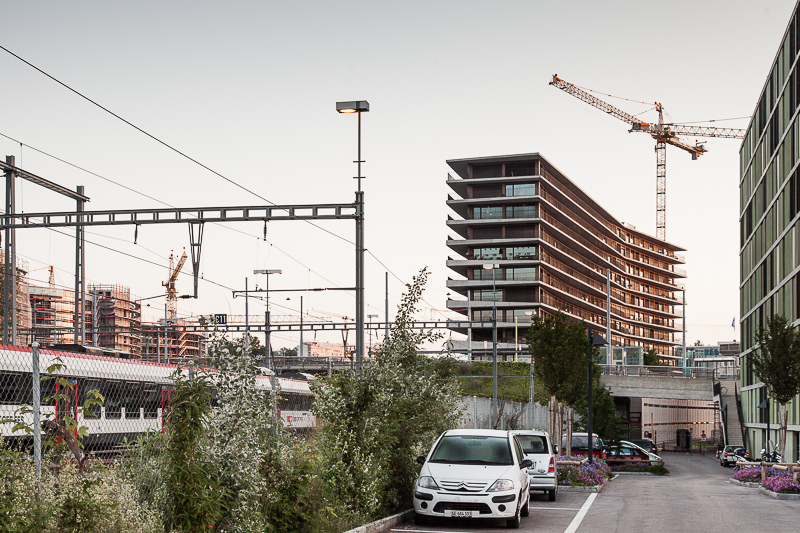 The shape of the building forms a broken bar which one of the facade follows the curve of the railway tracks. 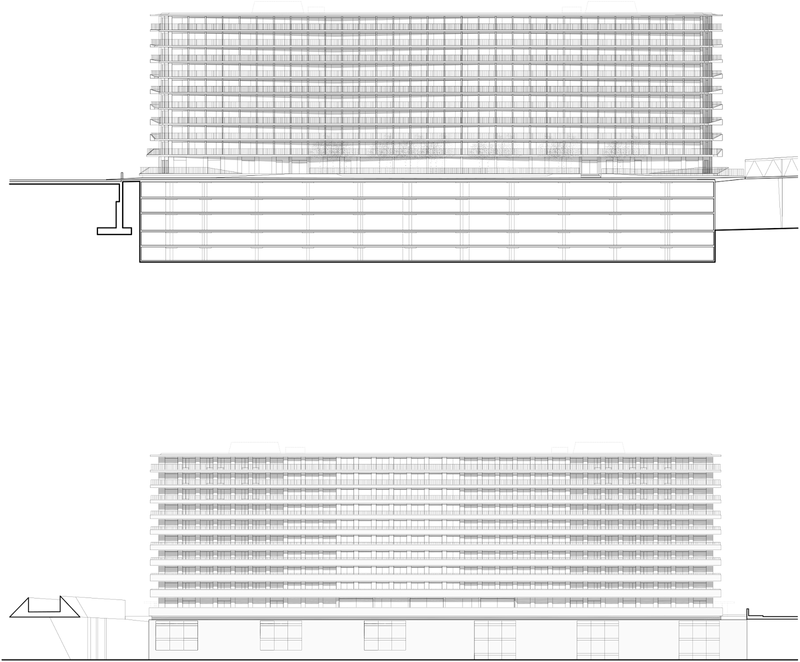 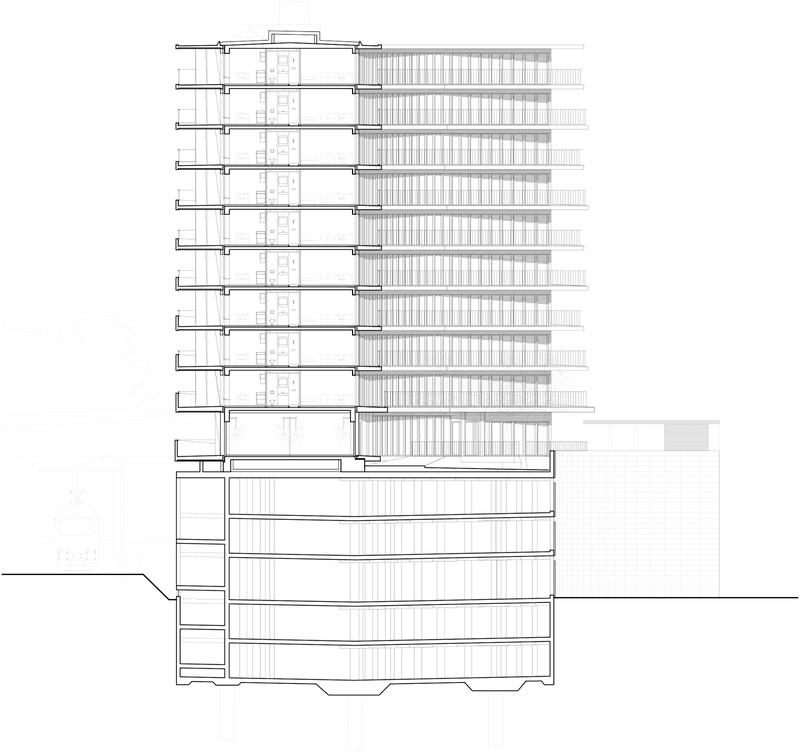 This particular shape disturbs the perception of this big urban building, which takes advantages of its size and the site’s constraints. The geometries of the two facades generate a play of shades that gives an identity and a singular plasticity to the building capturing in it the dynamics of the site. 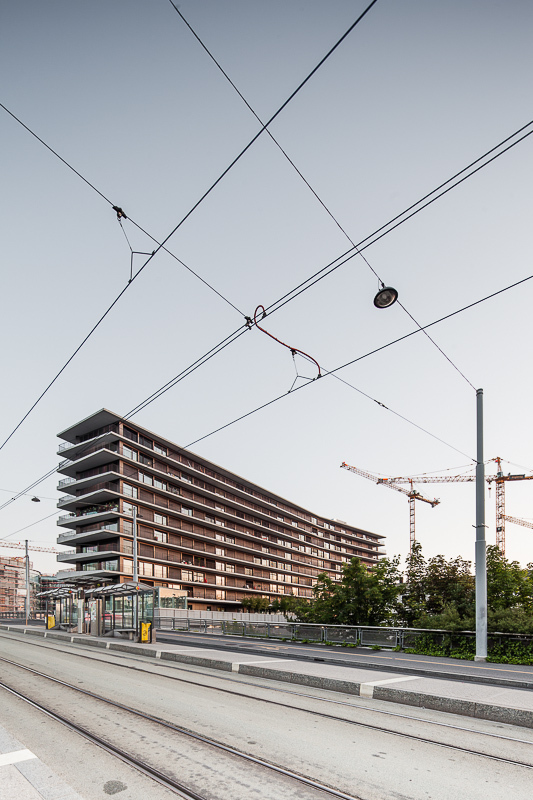 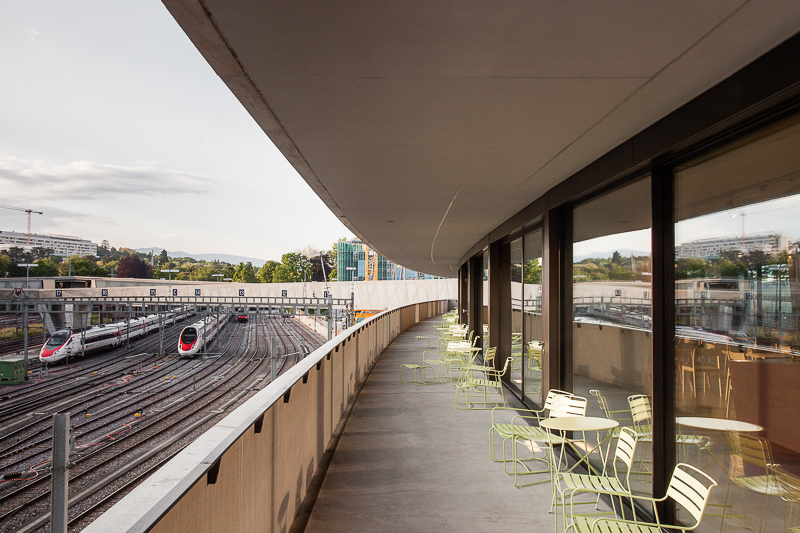 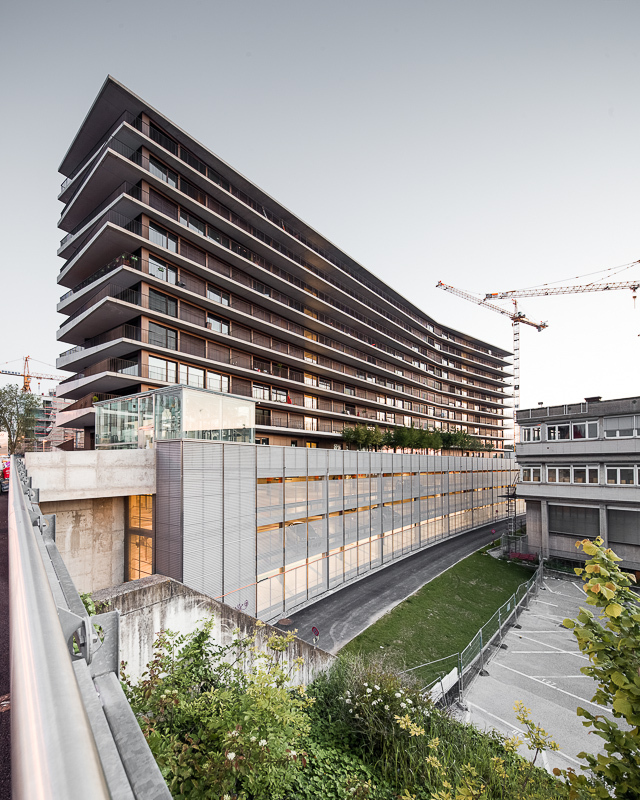 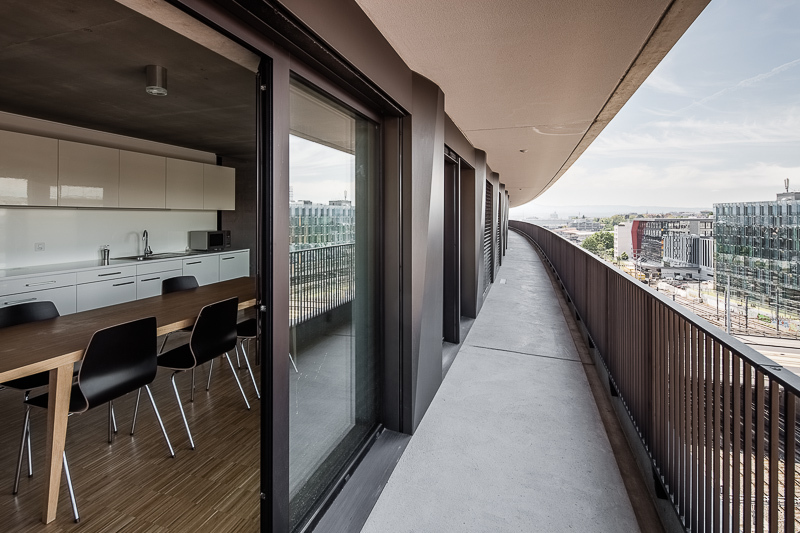 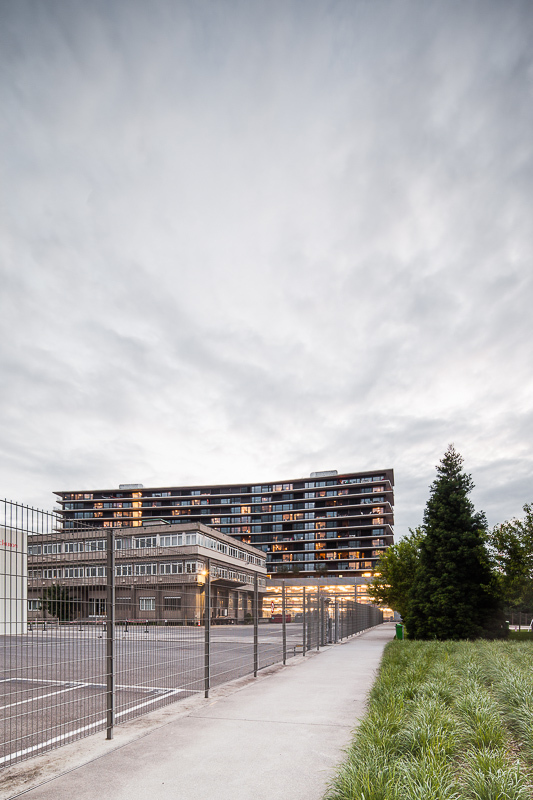 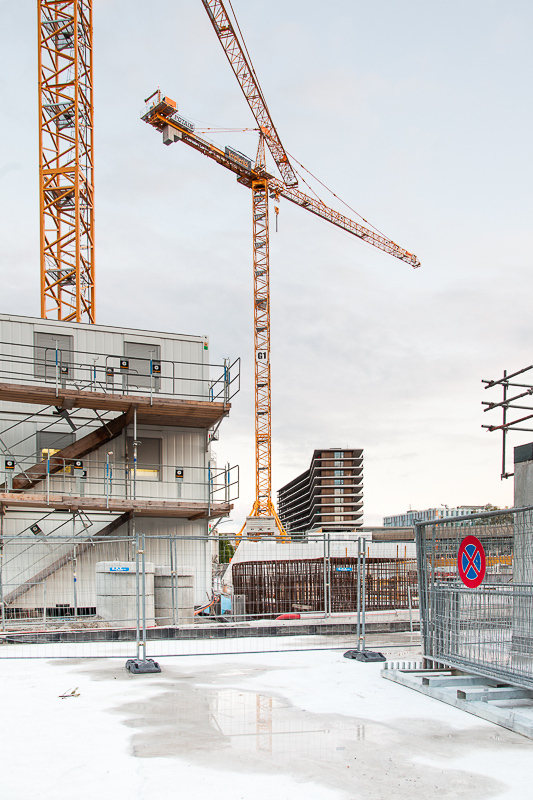 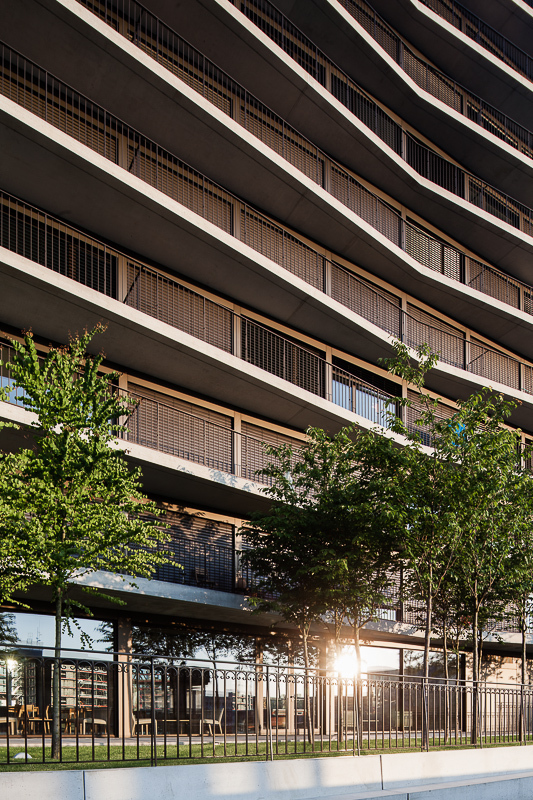 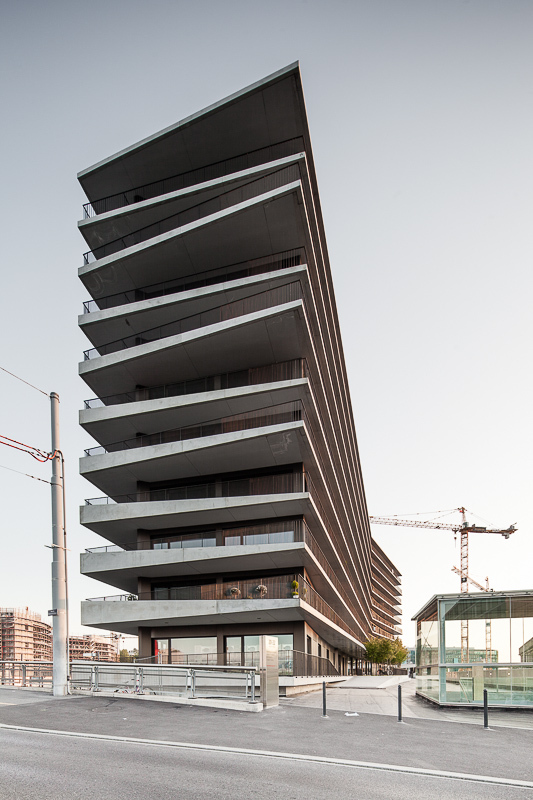 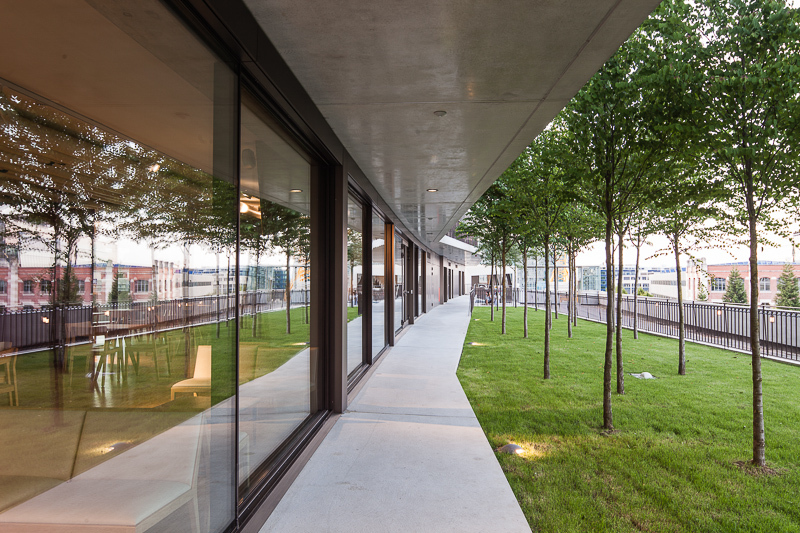 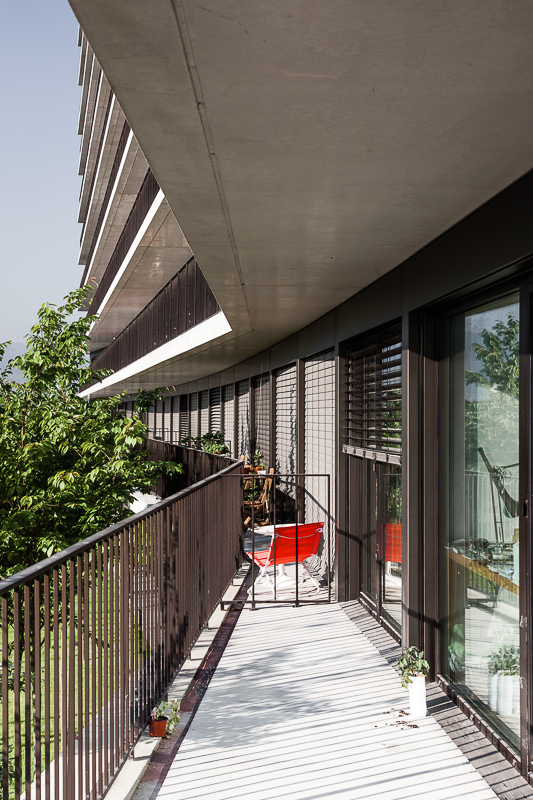 The building opens itself to the panorama of Geneva, like an open hand and generates a semi private garden right at its feet along a public promenade. 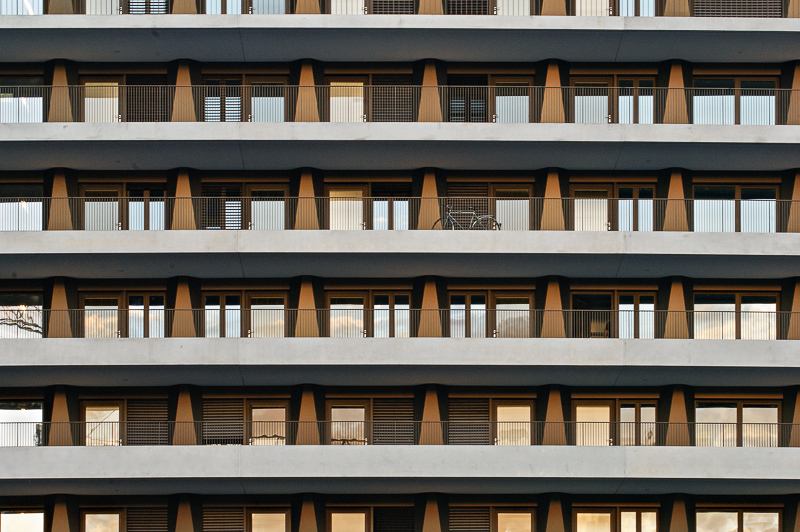 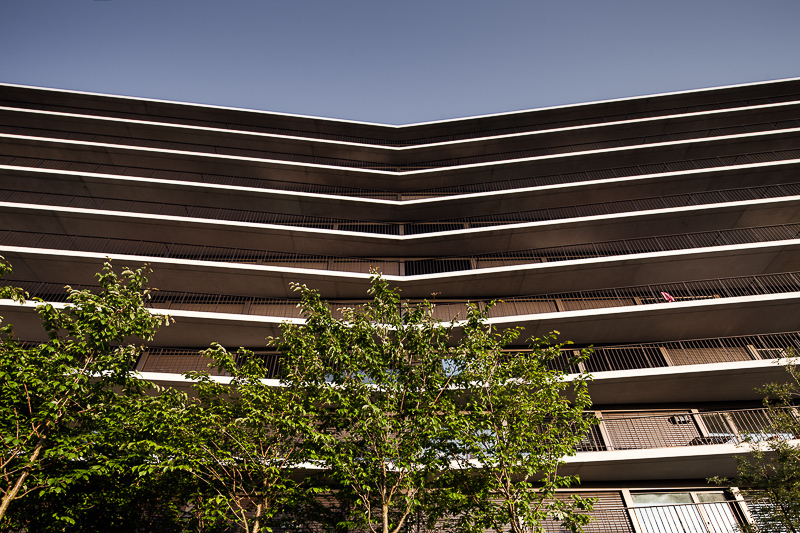 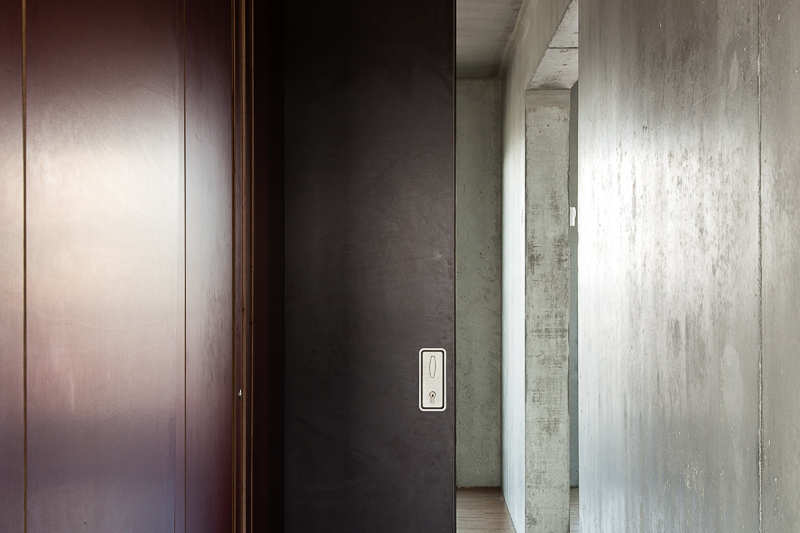 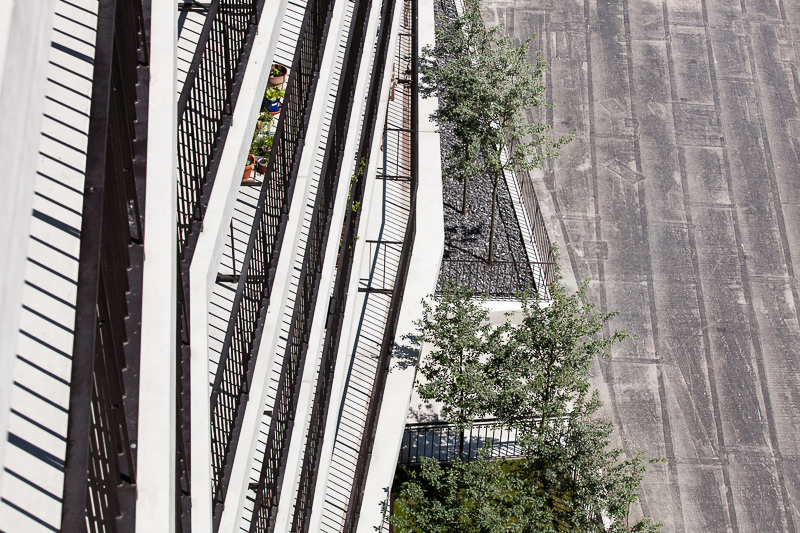 All the apartments are oriented to both sides (“traversants”). 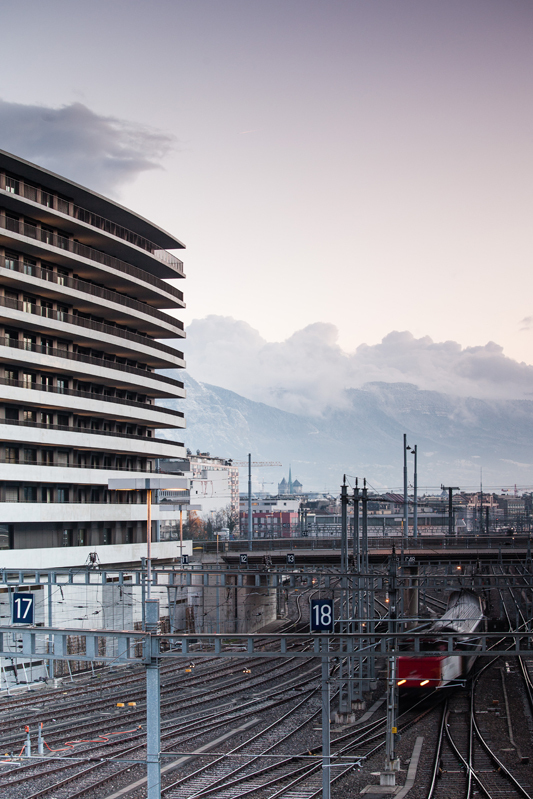 All the rooms are situated on the East side and benefit from the morning sun and the tremendous view on the lake and the Alps. 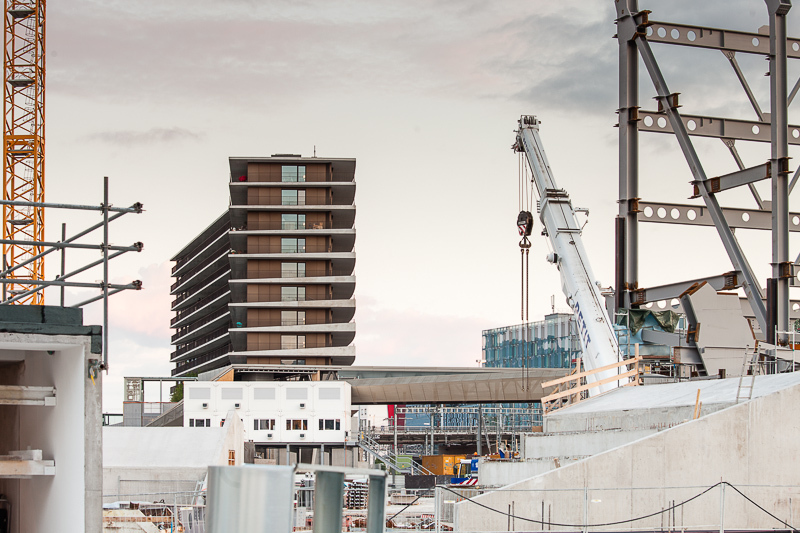 All the common spaces are looking on the West side, on the “coursives. 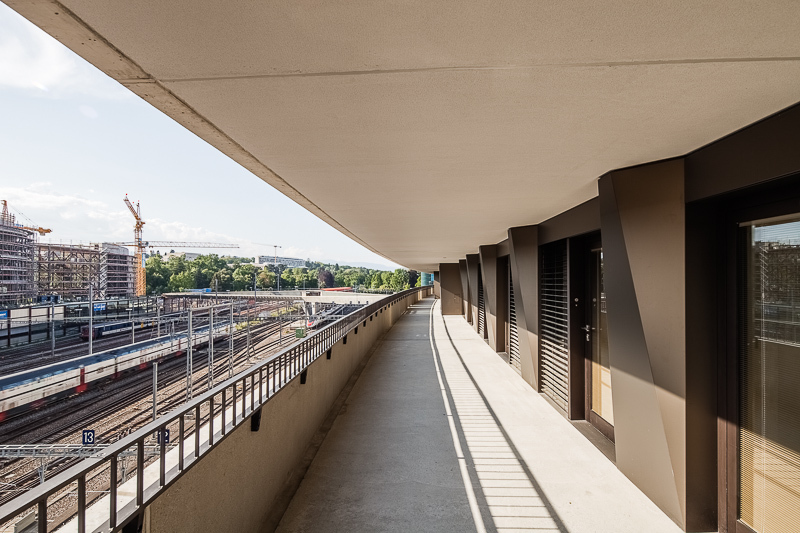 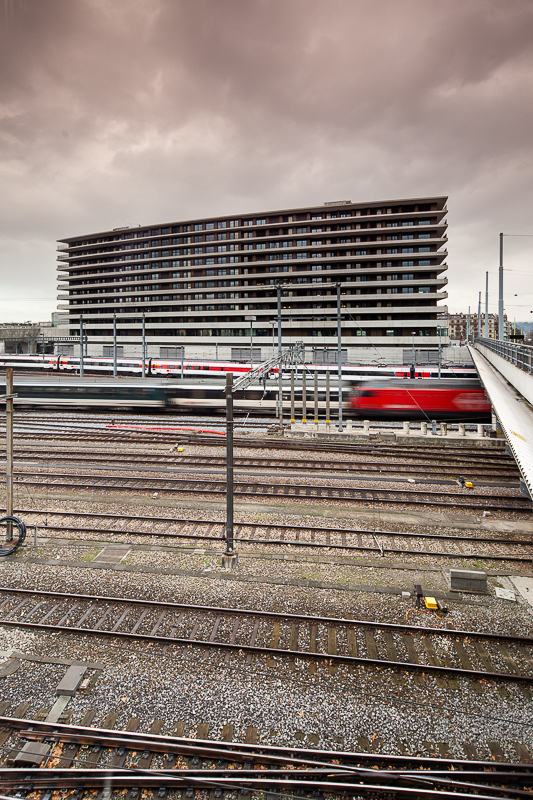 These coursives are meeting places in the open air as the ship decks overlooking the fascinating spectacle of trains entering and leaving Geneva. 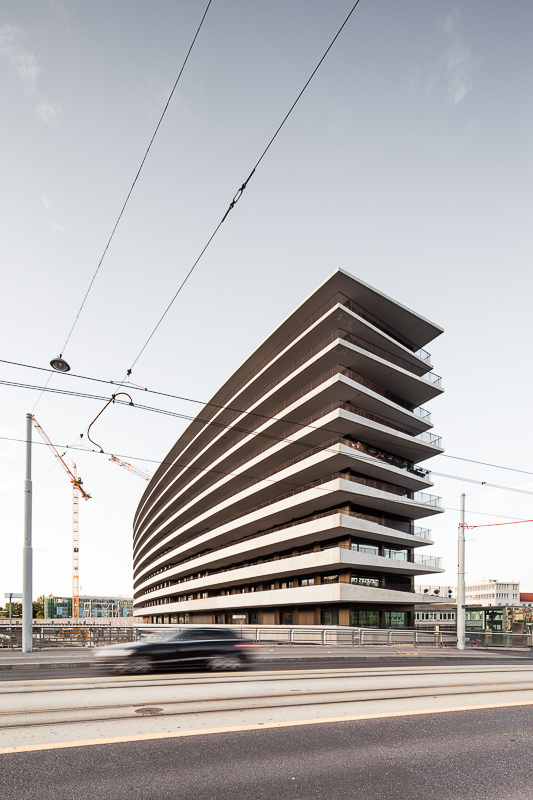 This building, with its simplicity, its form and set of scales, tries to create a dialogue to the city international institutions.